Tawnya Sutherland, founder of the world’s largest global network for Virtual Assistants, has brought together industry leaders from the four corners of the world to create a one of a kind certification program for VAs everywhere. 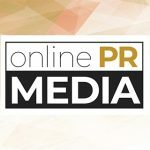 Online PR News – 02-April-2009 – – Tawnya Sutherland, founder of the world’s largest global network for Virtual Assistants, has brought together industry leaders from the four corners of the world to create a one of a kind certification program for VAs. VAcertified.com is the first international organization to take the plunge and offer a carefully calibrated and unbiased assessment of a virtual assistant’s skills, education, professional experience and industry contributions. As more and more businesses look toward affordable, online solutions to sustain and grow their bottom line in a tough economy, virtual assistants are enjoying increased demand for their services. But until today, virtual assistants have struggled to meet demand from prospective clients who often feel uncertain about the benefits of outsourcing. This is especially true, however, in a virtual environment where the negotiation process cannot happen face to face. The assurances that come with certification will prove immeasurable to business owners and managers who may have considered outsourcing support tasks to a VA in the past but could not justify the understandable risk of hiring an unknown. Thirteen individuals located in the United States, Canada, Australia, and the United Kingdom collectively agreed it was the right time to introduce a client-centric certification program for virtual assistants. After months of intense deliberation and debate, VAcertified.com was born. From industry leaders to specialized consultants, the international VAcertified Board brings a synergistic approach to the VA certification process. While no VA can be all things to all clients, board members agreed that each VA, whatever his or her specialty, should be able to demonstrate a level of commitment to his or her chosen profession in order to produce optimal results for clients. Virtual Assistants are eagerly waiting in line on our mailing list to learn about our opening date in May, 2009 to submit their applications for VAcertified as applications will be reviewed in the order in which they are received. Terry Green from the US states, "I am so excited about the VA certification program and the very impressive VAcertified Board behind it. I can’t wait to apply!" Dawn Lane from the UK states, "About time the VA industry had a global standard, which clients worldwide can use to benchmark the service they are looking for." Teresa Muzman of Australia states, "I am looking forward to hearing about the VA Certification Program and the certification process!" Janice Byer of Canada states, "You have an impressive group of people involved here and the idea of an internationally recognized certification for VAs is finally going to be a reality and reassure the world that we are professionals who take great pride in our ethics. " Marion Campbell-Drew of England states, " I have just launched my VA business and think this new program is a great idea and would love to be part of it." Terri Brooks from US states, "Bravo! This is very exciting and I know this will be a much sought after certification. As our VA Industry continues to grow, potential clients will be looking for those “top-notch” VAs and a certification will certainly be a Plus!" You'll even hear word about this VA certification program on Twitter as Virtual Assistants worldwide tweet about @VAcertified to their peers. VAcertified.com is the go-to resource for virtual assistants who want credible, unbiased and international recognition for their skills, education, professional experience and industry contributions. Devoted to creating and growing a certification program that embraces diversity, VAcertified.com strives to enhance and evolve professional relationships between VA and client. Follow @VAcertified on Twitter for up to date information about this worldwide certification program for Virtual Assistants.